Sunday Soap Case: Lego Madness! 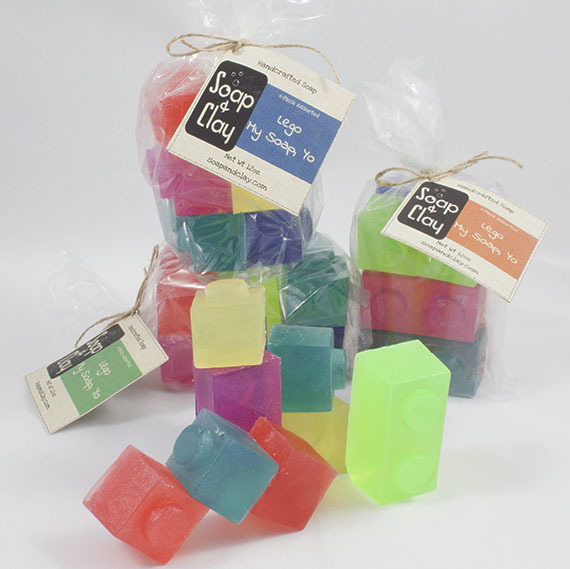 City Blocks Brick-or-Treat and Soapy Lego Fun! Hey there, Sudsers! How’s your weekend treating you? Pagan Pride has been in full swing this weekend at Freighthouse Station and it has been such a treat to mingle with the local holistic community as they explore our building. As the gods and goddesses collect their treasures and head off to their next adventure, Freighthouse begins preparations for our next amazing, stupendous, too-cool-to-be-allowed event. How’s that for buildup? You won’t be disappointed. 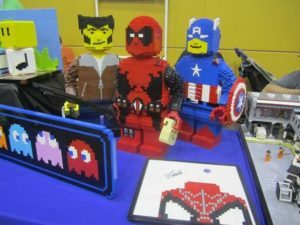 If you are local to the Tacoma area and haven’t heard of Dan Parker and his Lego artists at City Blocks, it’s likely that you’ve been living under a rock. This place is an institution and a veritable panoply of all things Lego. They have collector’s pieces from Lego’s inception, they have new builder kits (at crazy awesome prices, btw), they have mini-figs coming out of their ears. Sometimes literally. They’re a fun bunch. But what they also have that sets them apart from your run of the mill Lego store is a group of talented builders that create these incredible structures like it’s not the most complicated thing in the world to do. It is. I tried to connect with my inner child and build something with the Soap & Clay kidlet’s Legos and successfully created…nothing. I went back to Minecraft at that point. 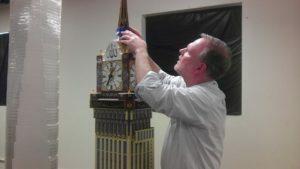 Dan Parker travels the world, constructing massive displays for museum events, grand openings, and the occasional children’s birthday party. He’s good at what he does. So good, in fact, that he rarely has an opportunity to coordinate an event specific to his shop in Tacoma (that just so happens to be in Freighthouse Station, where all the cool kids hang out). Lucky for us, he’s organized one for next weekend and it is guaranteed to impress both the young and young at heart. 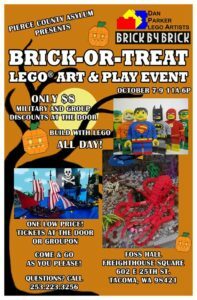 Brick-or-Treat will run October 7th-9th in Foss Hall at Freighthouse Station. City Blocks has teamed up with Pierce County Asylum (not an actual asylum, but probably more terrifying) for a weekend of physics-defying Lego builds, games, toys, Lego dealers, and even master instructors (namely, the one and only Dan Parker) on site to provide a few tips and tricks of the trade. So if you’re looking for something amazing to do next weekend, this is it. Not to be outdone by Dan and his awesomeness (except that I am completely outdone by Dan and his awesomeness), I’ve got a super awesome Lego creation, too. 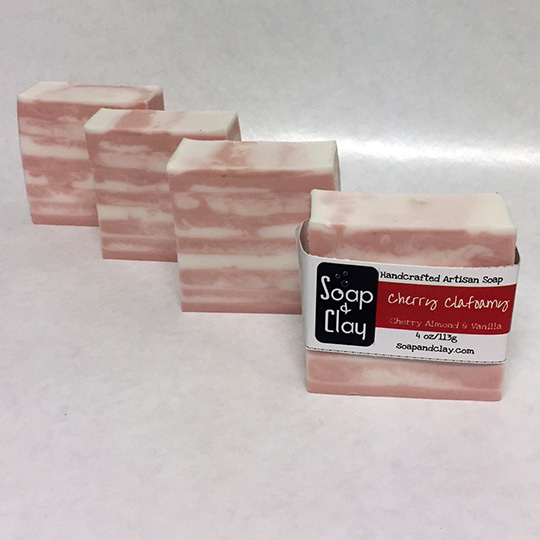 Of the soap variety. Obvs. 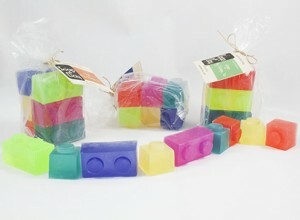 Lego My Soap, Yo has been a fun addition to the Soap & Clay Kids line and really showcases my Lego skills. Of which I have none, really. 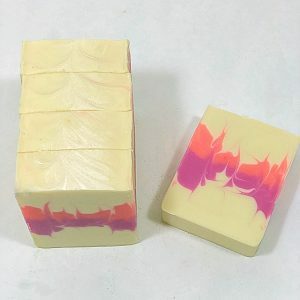 But the soap is great – tons of bubbles, super bright scents and colors, and moisturizing super cleansers go into these children’s glycerin soaps. The Soap & Clay Kidlets have a stack of these in the shower and at the sink and have declared them to be their absolute favorites. Today. They would like to see the soaps come with some mini-figs, however – perhaps Dan the Man and I can work out a deal to make that so. And because I love you so very much, you can get a set (a whole set!!!) 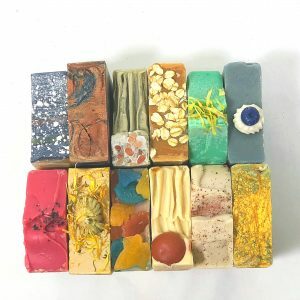 for free this week with coupon code LEGOMYSOAPYO. 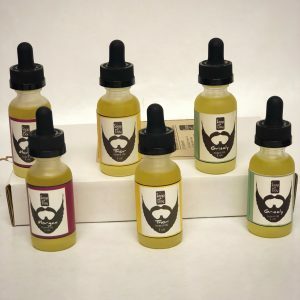 Coupon code valid on all orders until October 9th. That’s it for me today, Sudsers – have a great week!